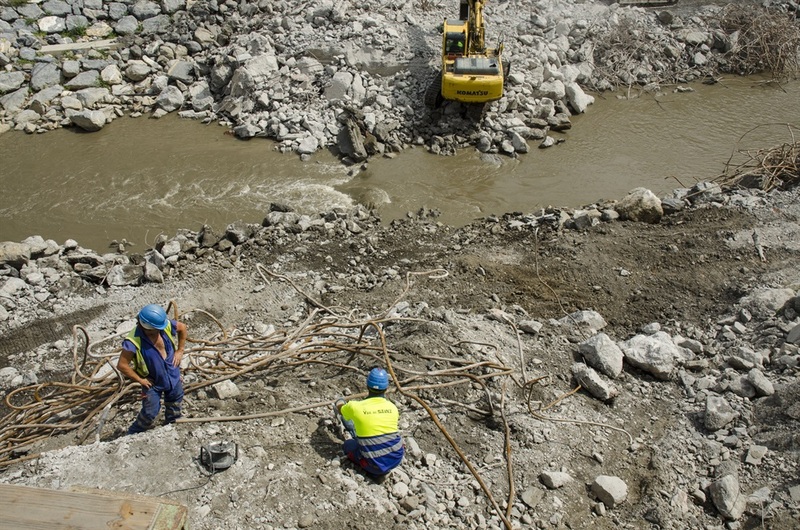 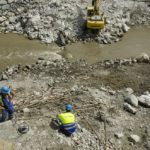 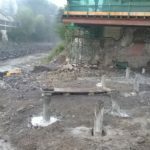 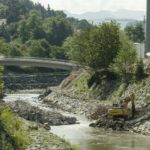 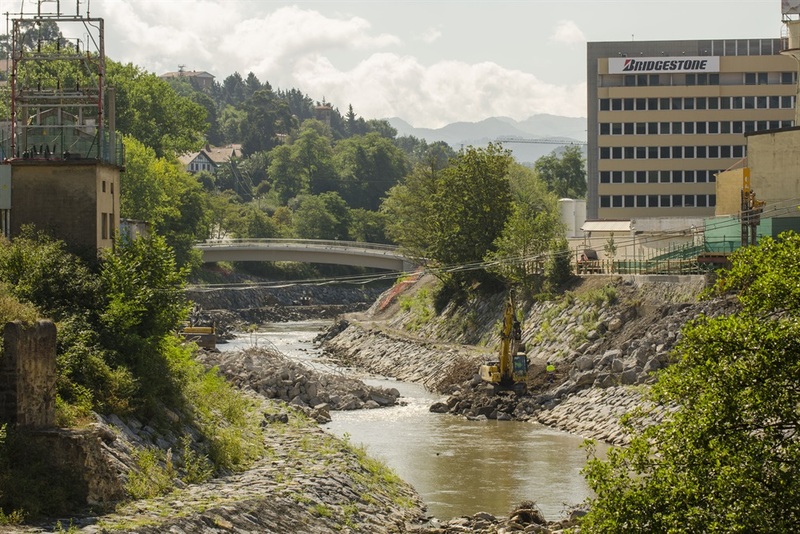 Delivering a new term, URA has launched the operation by which it begins to put the first foundations and structure of the new Urbi Bridge, which will be completed by the end of the year. 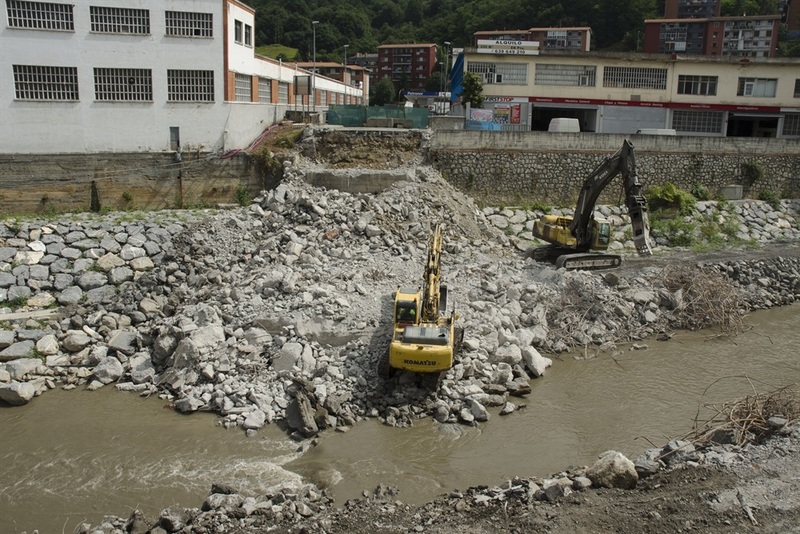 URA, the Basque Agency under the Department of Environment and Territorial Planning of the Basque Government began on Tuesday July 28th the construction of micro-piles that are part of the foundation of the left abutment of the Urbi Bridge, which links the Biscayne towns of Galdakao and Basauri on the bed of the Ibaizabal River.? 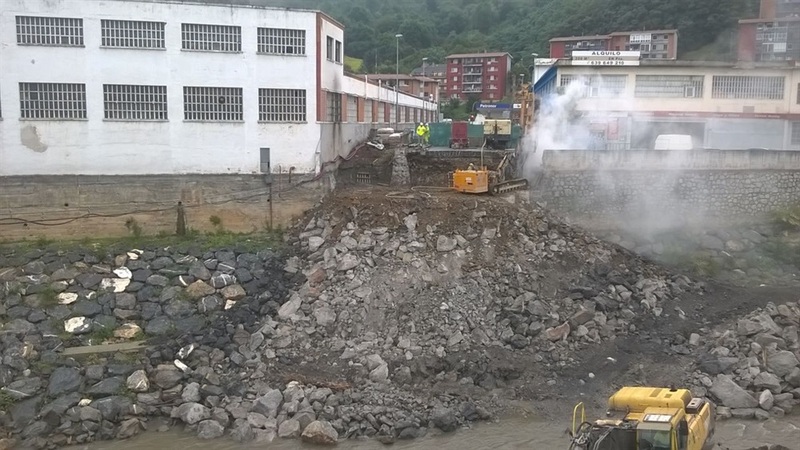 According to sources of the work that Viuda de Sainz is carrying out this operation will last until Tuesday, August 4th or Wednesday, August 5th, approx. 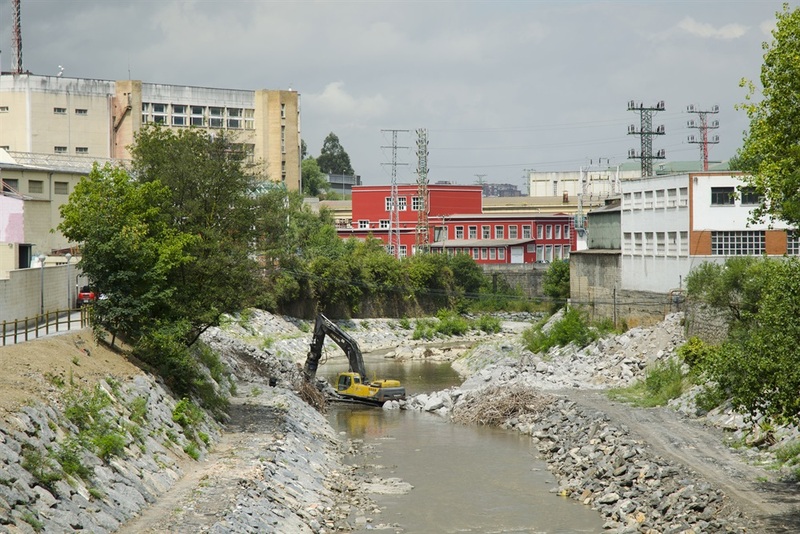 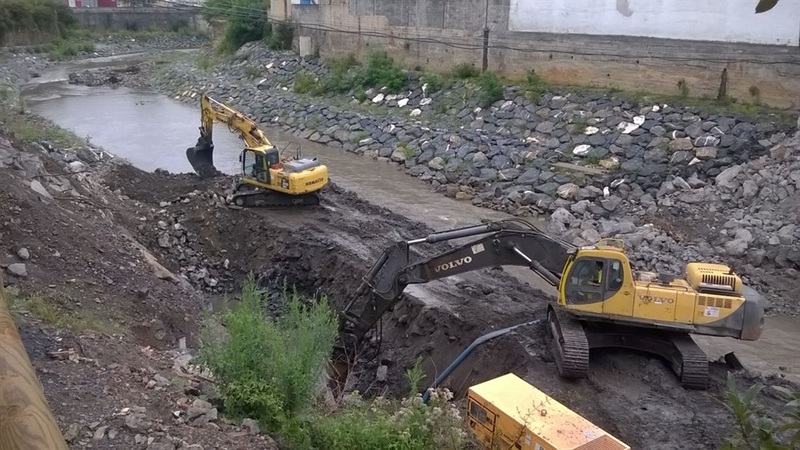 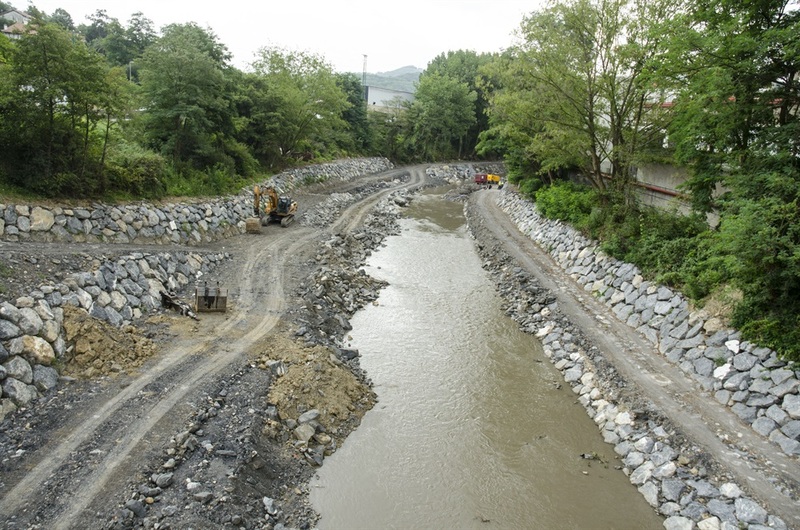 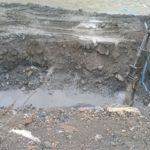 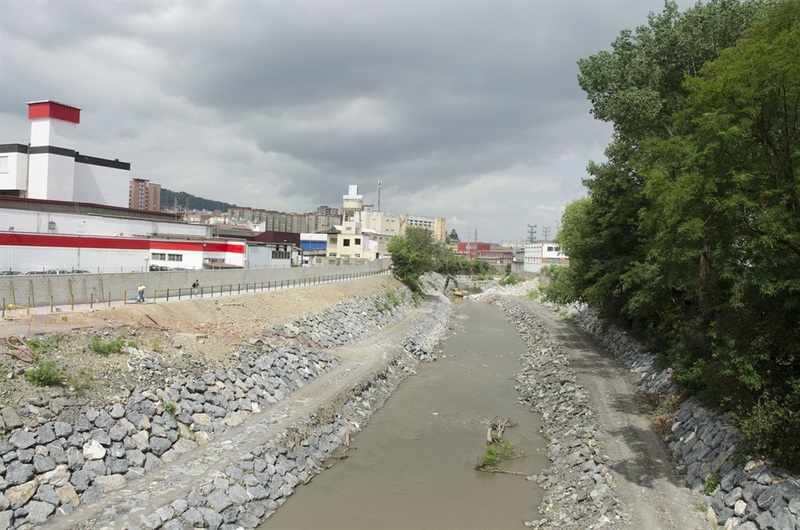 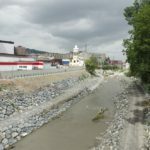 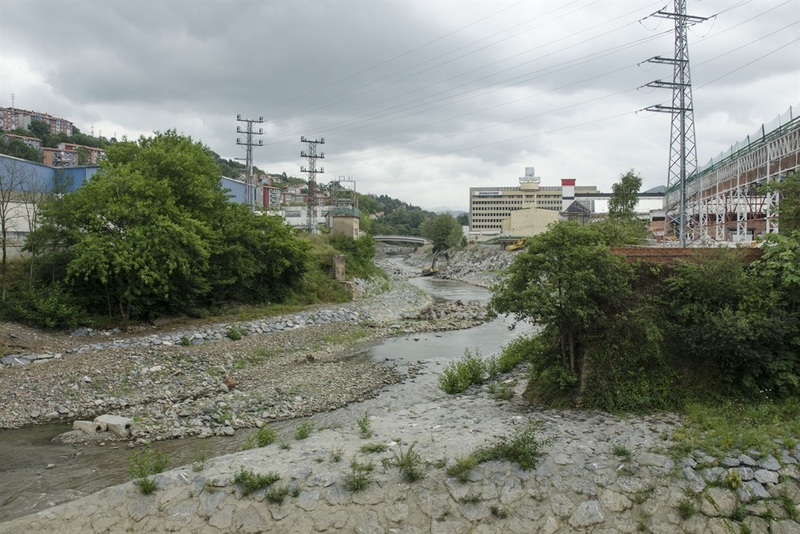 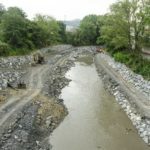 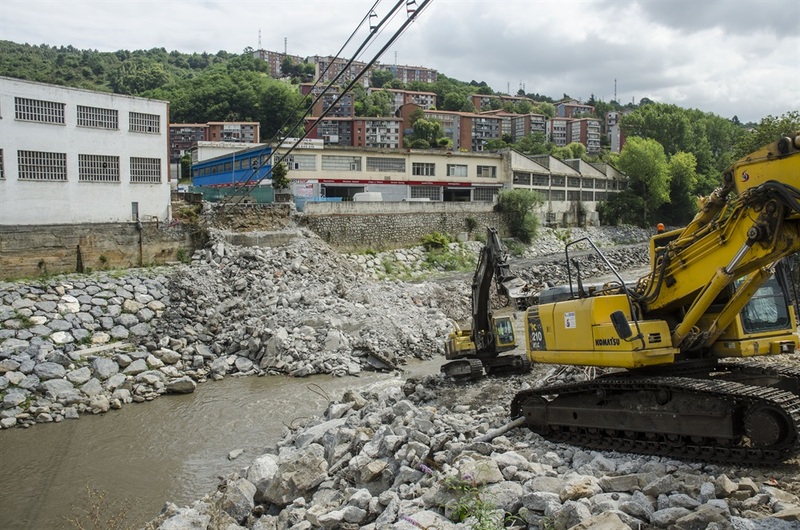 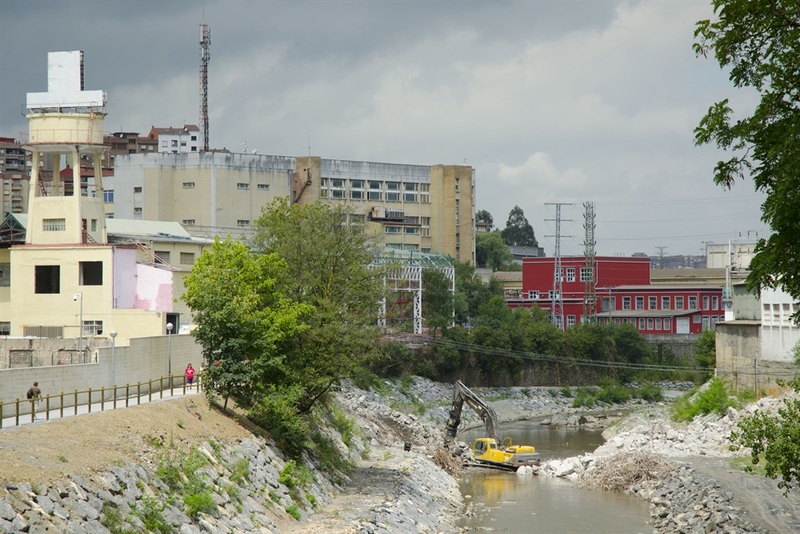 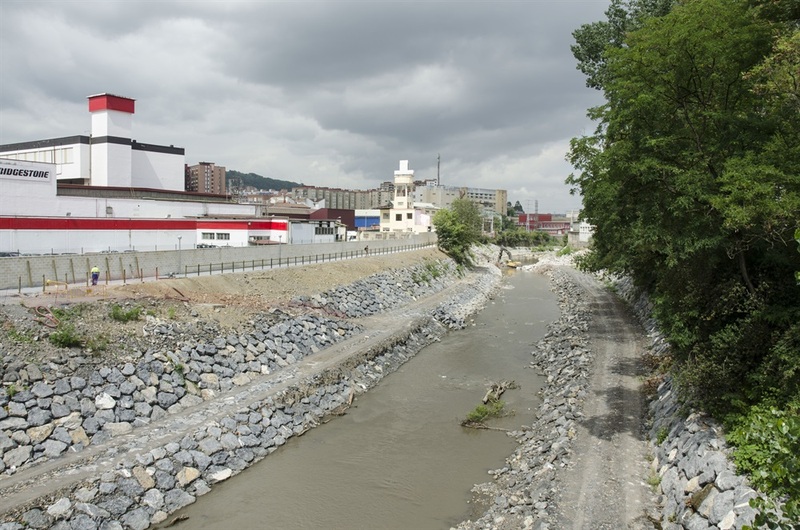 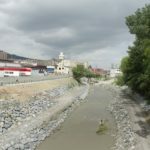 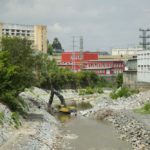 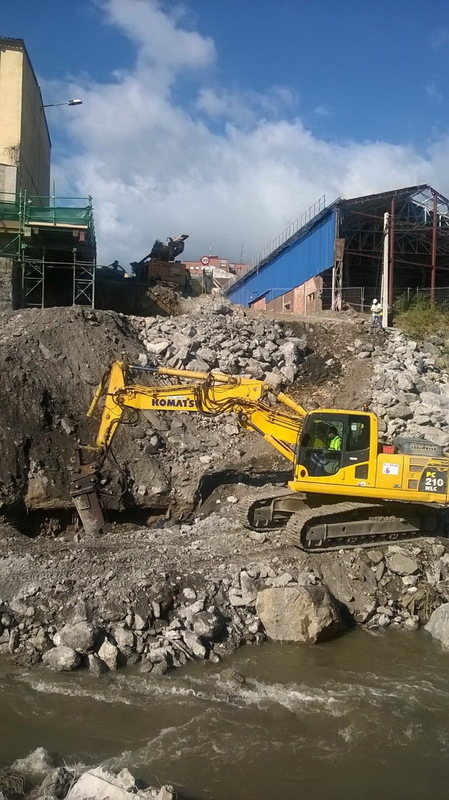 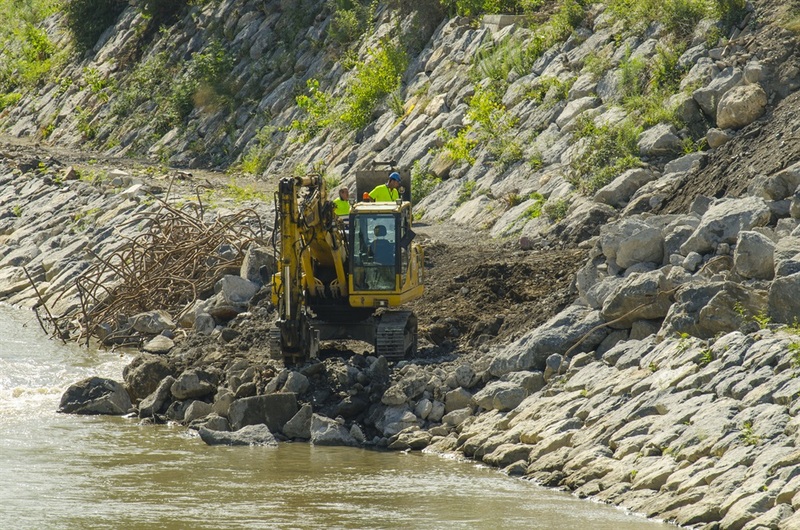 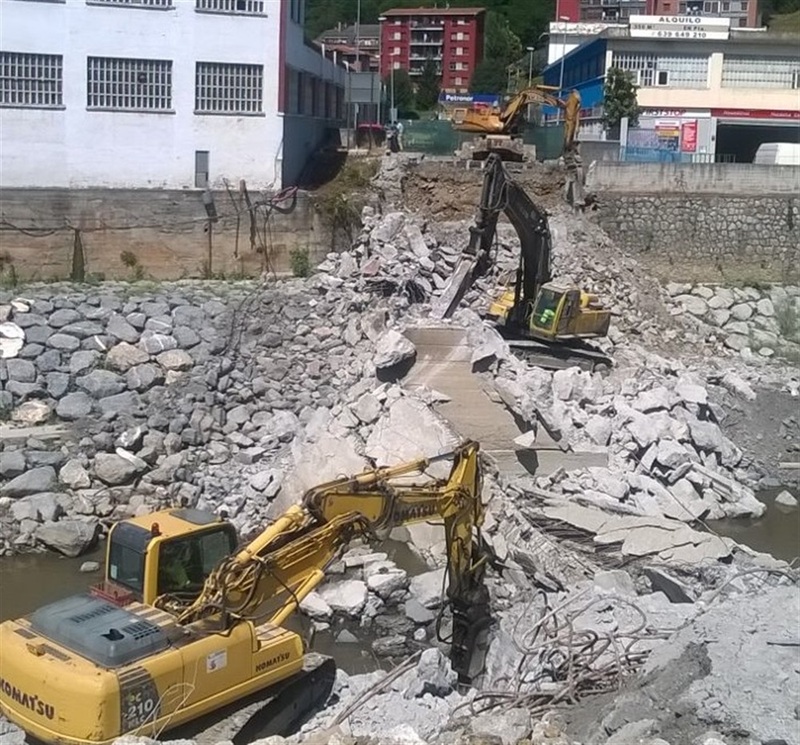 At that time, they will proceed to carry out the same procedure with the abutment on the right bank of the Ibaizabal.? 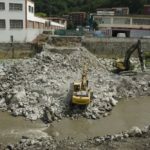 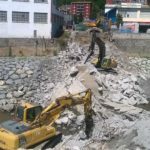 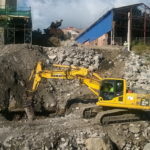 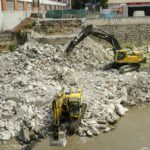 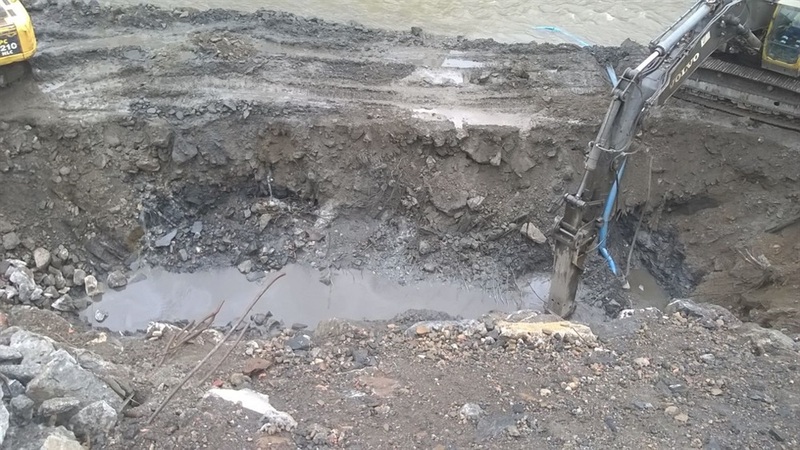 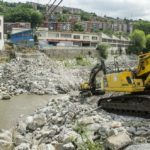 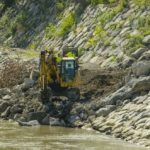 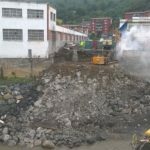 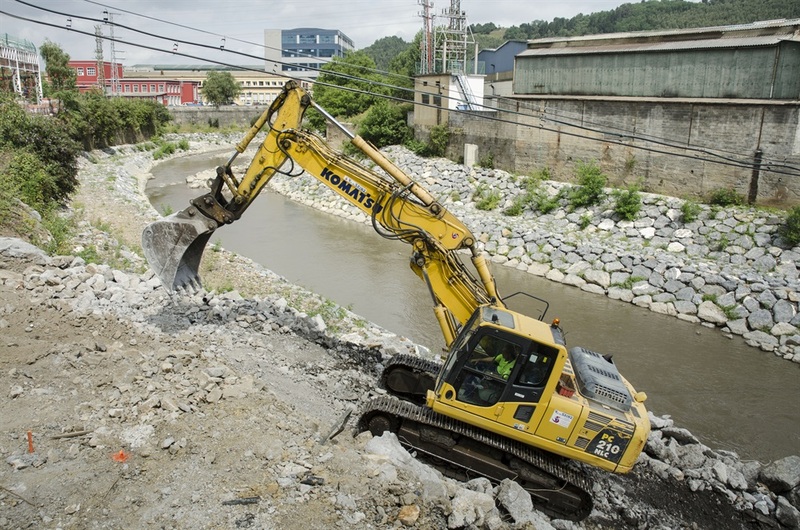 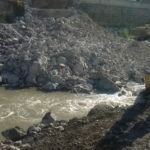 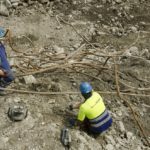 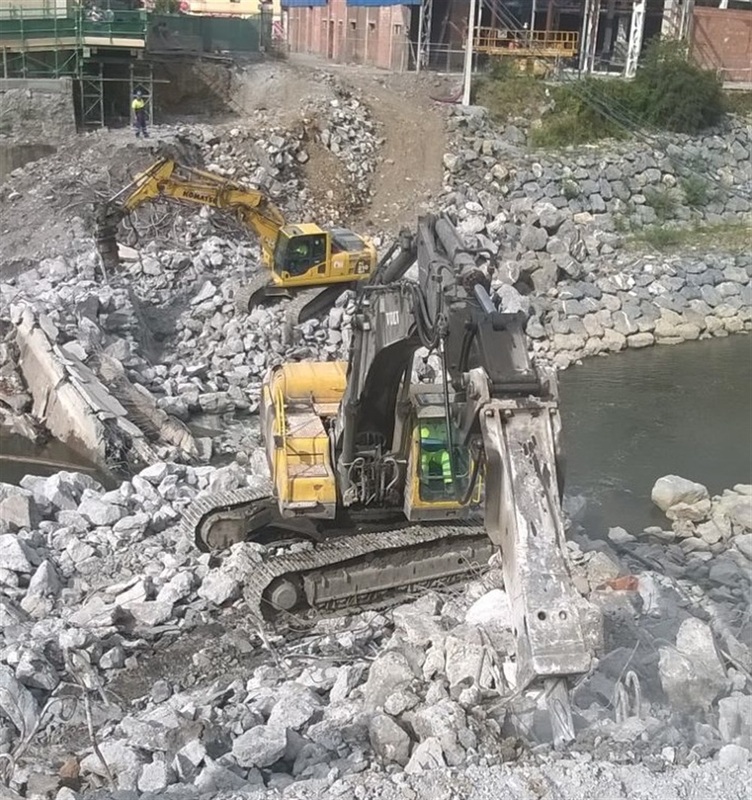 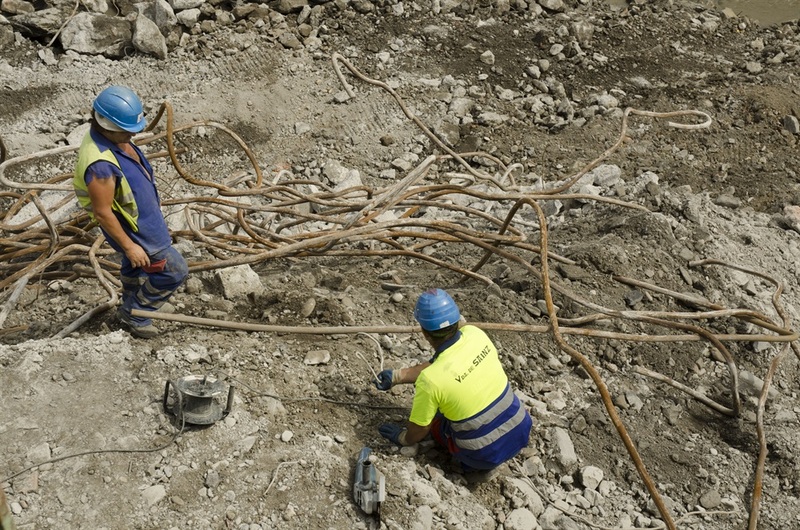 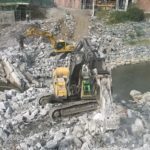 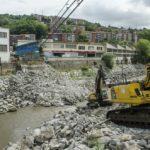 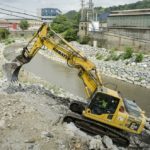 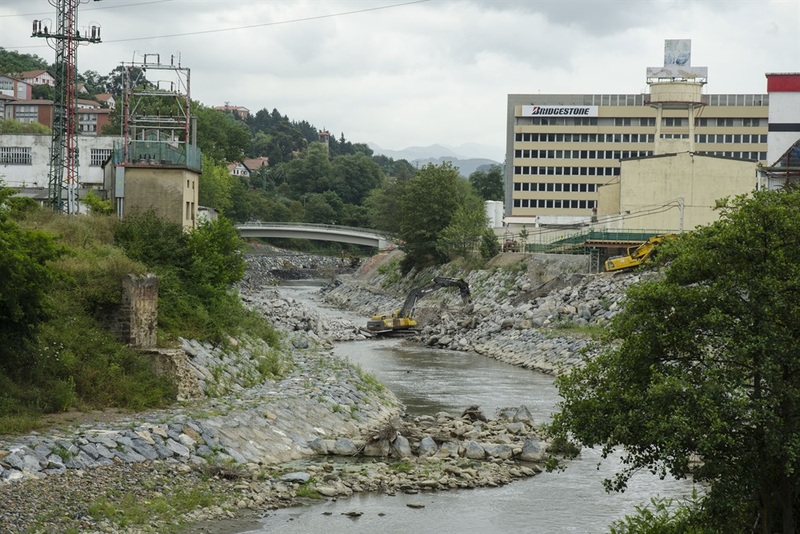 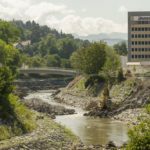 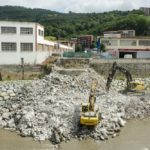 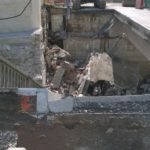 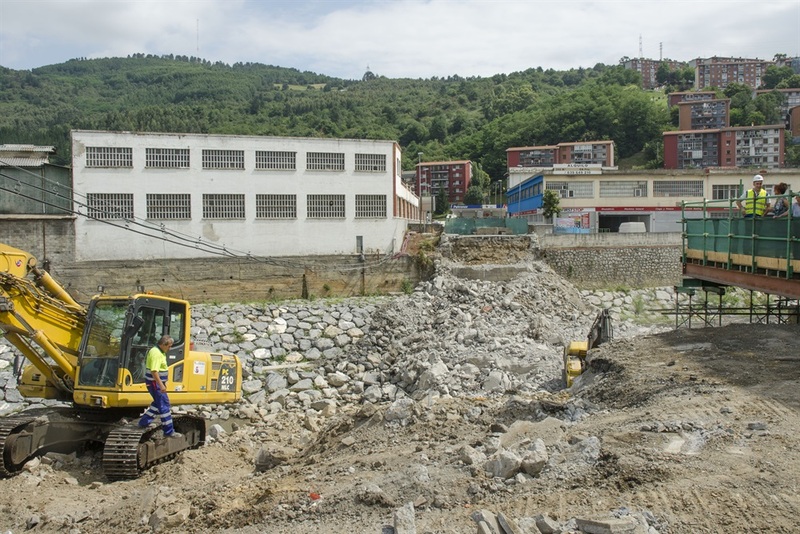 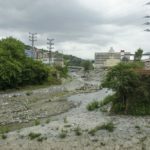 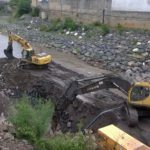 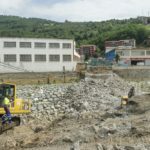 Simultaneously, they will continue chopping and removing the remains of concrete and steel that made up the viaduct to take them to an authorized agent.? 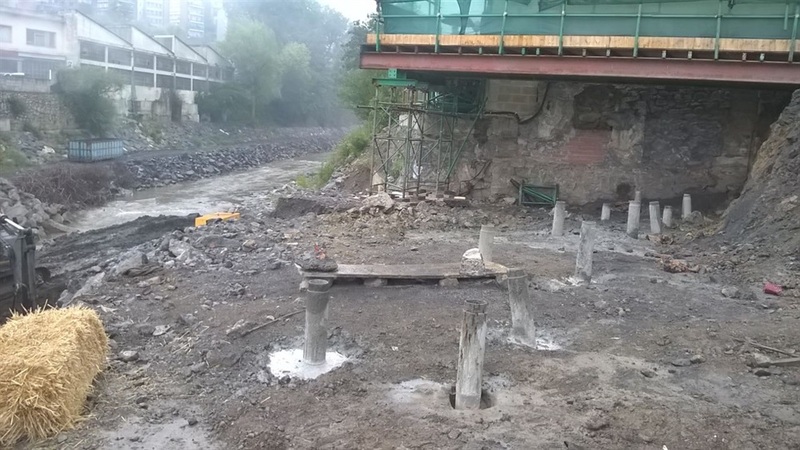 And with the intention that the first week of August to begin the construction of the stack on the left bank.? 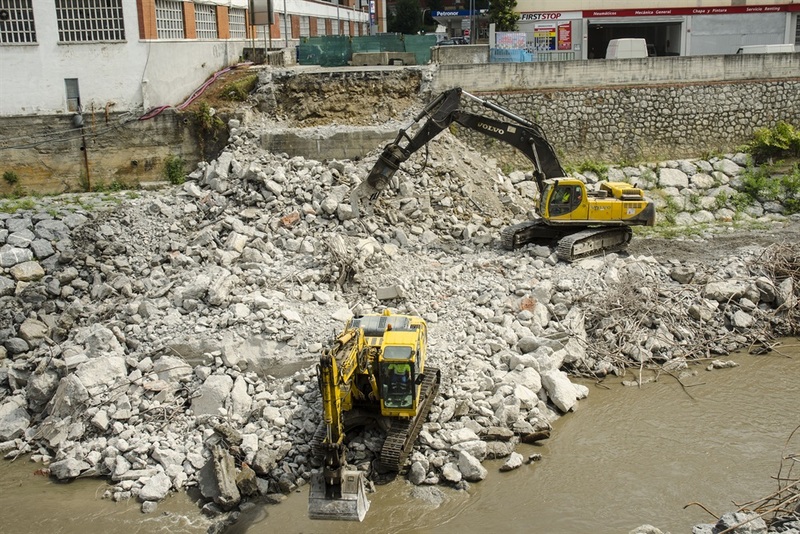 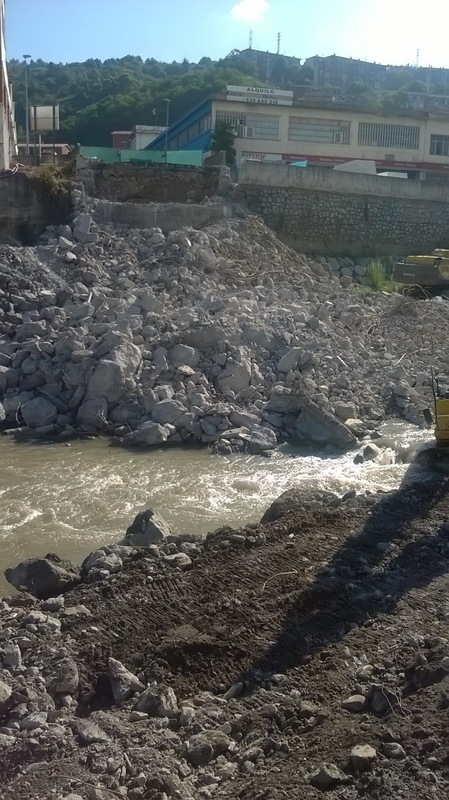 The Urbi Bridge was demolished on Wednesday, July 29th. 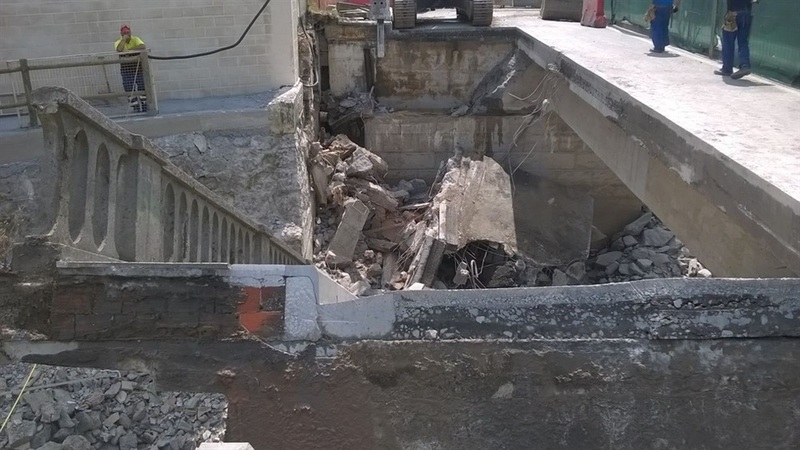 The demolition work continued for a day and a half. 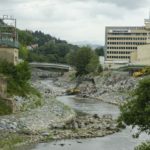 This phase has given way to the present one, in which the new infrastructure, which will have a maximum width at its location (13.60 meters) and consist of two lanes of 3.30 meters up two sidewalks of 2.50 meters each and a cycle path of 2 meters wide.?? 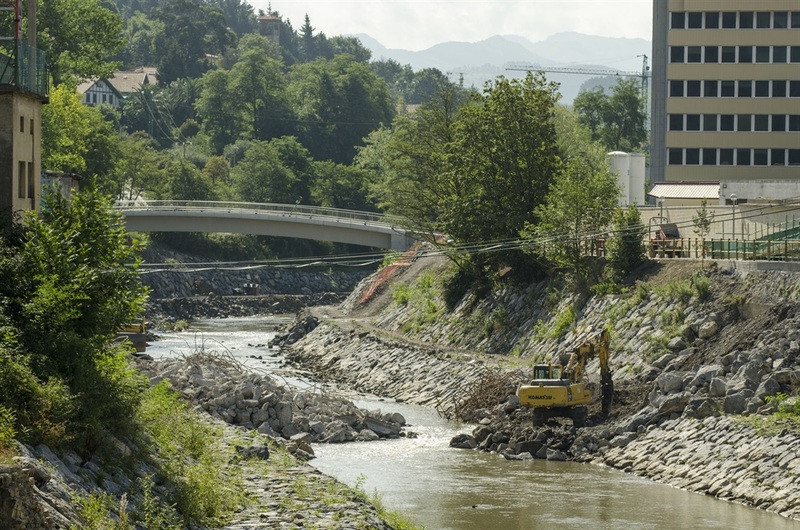 The fact that moving from the current 9.80 meters width to the final 13.60 meters impact on how to execute the work and that the difference of 3.80 meters space has prevented to install a parallel footbridge on the bridge. 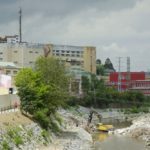 Hence there is still a need to adapt the way of the margin next to the pedestrian bridge.?? 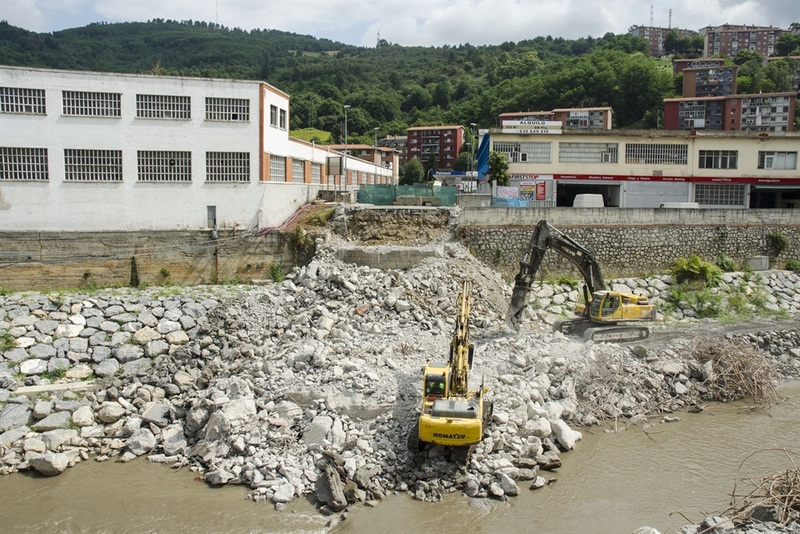 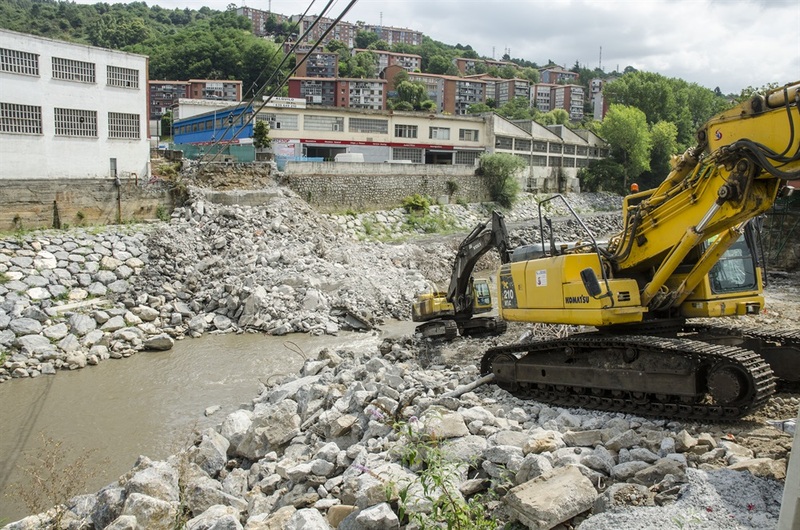 The replacement of the Urbi Bridge on course -along with the recently replaced Bridgestone Bridge, the demolition of the dam of Urbi and the expansion of the hydraulic section of the Ibaziabal River in the already carried out stretch- will eliminate the risks posed by inadequate draining capacity of the channel along the industrial areas of Galdakao and Basauri-Zarátamo.